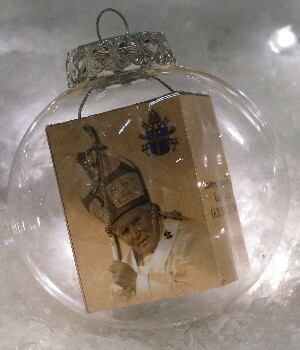 with the shown photos of the last 4 popes inside. 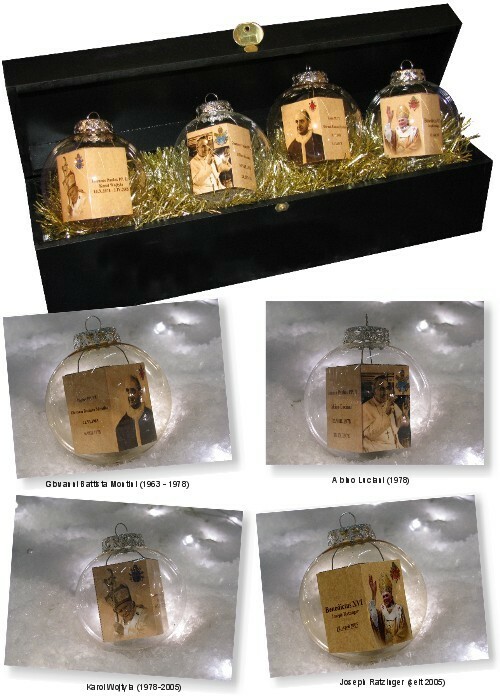 The 4 balls are coming in a nice wooden box. 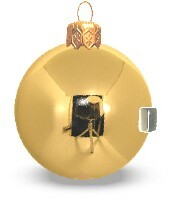 Please click again to see a larger picture. 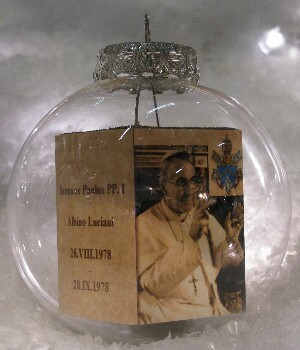 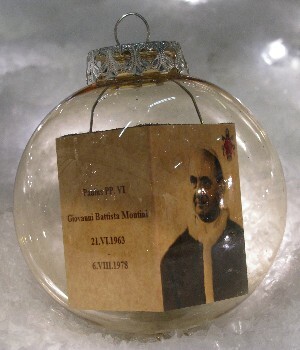 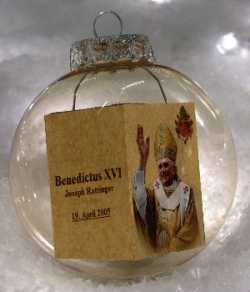 The handblown christmas-balls are containing photos of the last 4 popes.